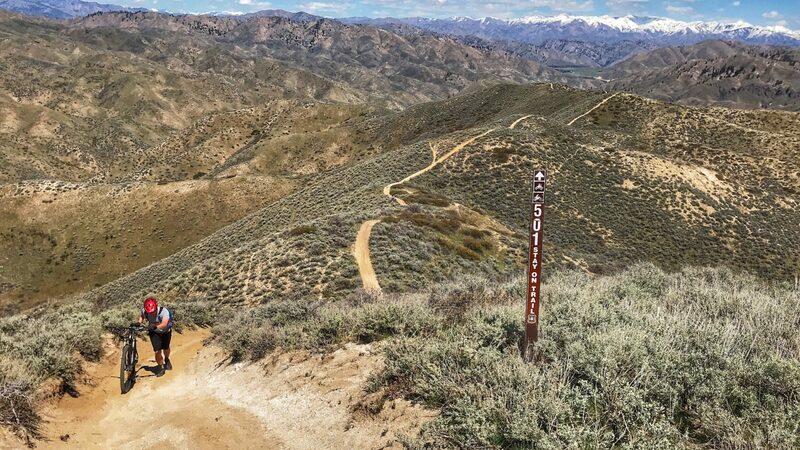 Are you tired of the smooth, buffed singletrack that crisscrosses the Boise foothills? Is it too familiar, too groomed, and too crowded? Are you looking for something a little more remote and untamed? 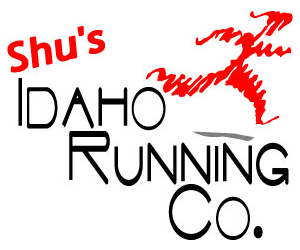 Check out the Danskins, just 45 minutes from East Boise. If you like descending Trail 4 or Willow Creek in Avimor, you’ll dig this place. 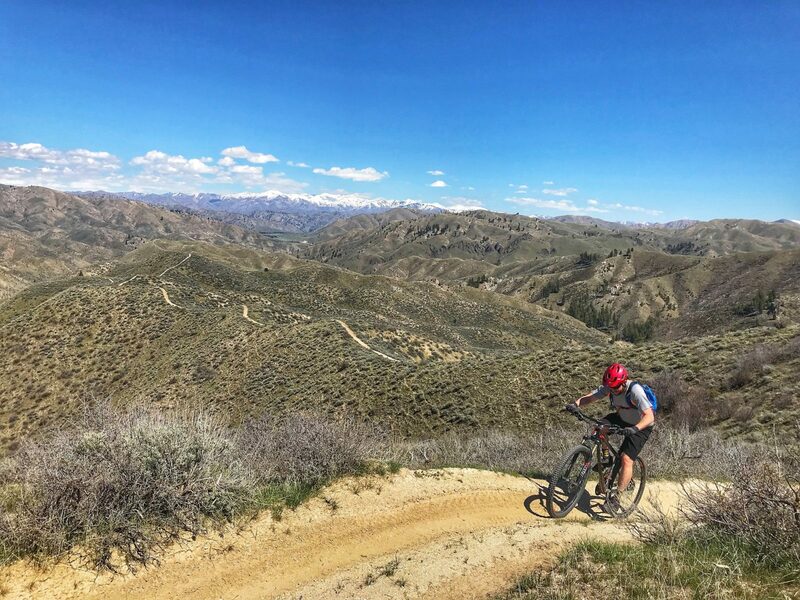 We love mountain biking the classic Boise foothills loops as much as anyone–Bob’s, Freestone, Three Bears, etc. But it’s always exciting to explore new places. 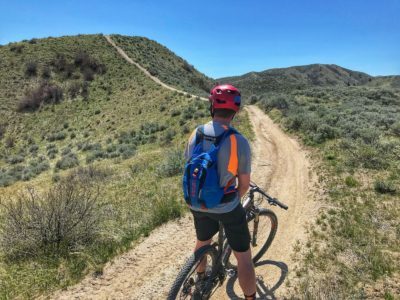 Plus, on the most beautiful spring days of the year–like the ones we’re experiencing right now–the popular Boise foothills trails can get so crowded you’ll think you accidentally stumbled into the middle of the Race to Robie Creek. That’s where the Danskins come in. 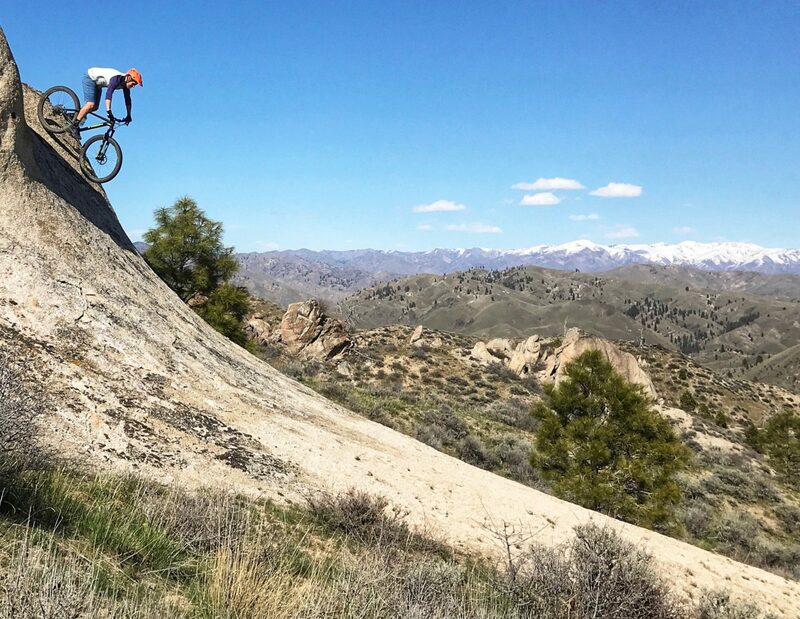 Sitting just east of Boise, mostly ignored, the Danskins hold many miles of scenic, remote singletrack, doubletrack, and back roads. Yeah, they’re raw, loose, littered with creek crossings, often very steep, and open to motorcycles, but it’s all part of the charm. 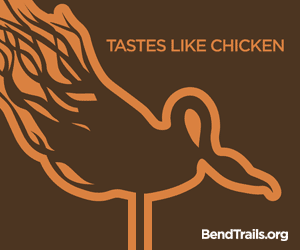 Cinch up your britches and embrace the wildness. 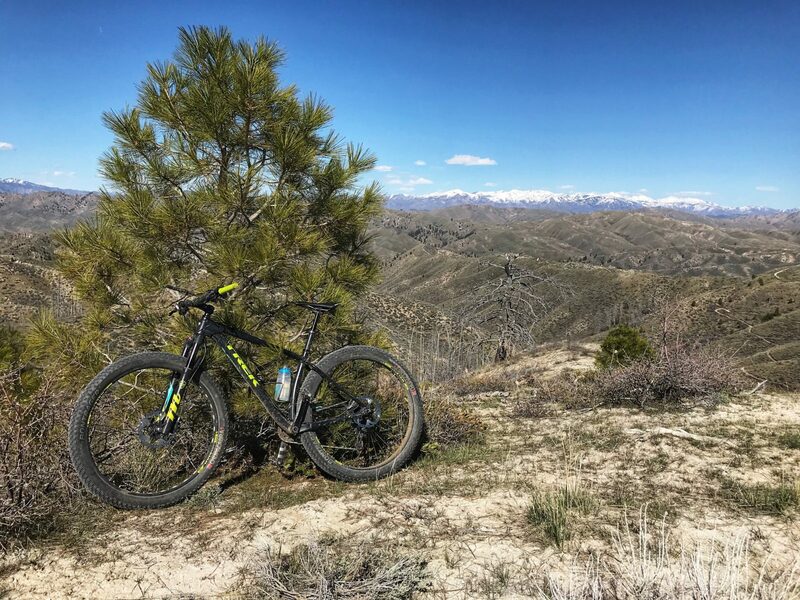 After a relatively quick drive from East Boise to Blacks Creek Road, and maybe a little bit of fishtailing on the gravel backroads leading to the Bender Creek trailhead, we unloaded and started pedaling. The Danskins trail system is laid out more logically than the street grid of many large East Coast cities: the trails generally run parallel to one another, with one on each ridge and one in each drainage, and a couple of main arteries (trails 300 and 400) running down the middle. Here’s a map. We decided we’d just zigzag up and down a few of the drainages and ridges, and see what we found. Initially, we found a lot of pushing our bikes and a lot of pain ascending east to west on the first ridgeline trail, Trail 501. The final climb on Trail 501. Those views though! Seriously, this thing is like the dirt replica of a creaky wooden death coaster from some nightmarish carnival. Steep, STEEP, climbs that we could barely walk up, for a couple of miles. But the views were amazing. After a few miles of that, we pointed our bikes down trail 502, which was kind of the same, but a lot more fun because we were descending. It’s a steep, loose, gnarly skidfest. 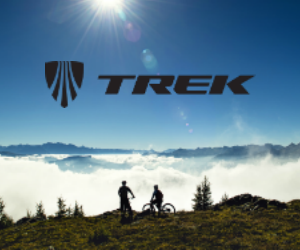 I was very glad to be on my Trek Stache, which has big ol’ plus tires and a dropper post. It was the perfect bike for the day. I felt bad for my buddy who I’d cajoled into coming along, and who brought his XC hardtail with skinnier tires and a fully erect seatpost. He was a good sport. Sorry dude. At the bottom of trail 502, we turned onto one of the cooler trails of the day, the Bender Creek Trail (#510), descending gradually west to east. This is legit creekside singletrack, with an occasional smattering of pines, a couple of rock outcroppings, and plenty of moto whoops from the dirt biking crowd that calls this place home. In fact, here’s a moto video of the whole trail if you want to check it out. It’s a good trail. With one loop down, we decided to tackle one more. But based on our first ridgeline death march, we thought it might be better to ascend a drainage trail and descend a ridgeline trail. That turned out to be a good call. We ascended Jack Creek Trail (#520) east to west, which was pleasantly mellow but kind of unremarkable. 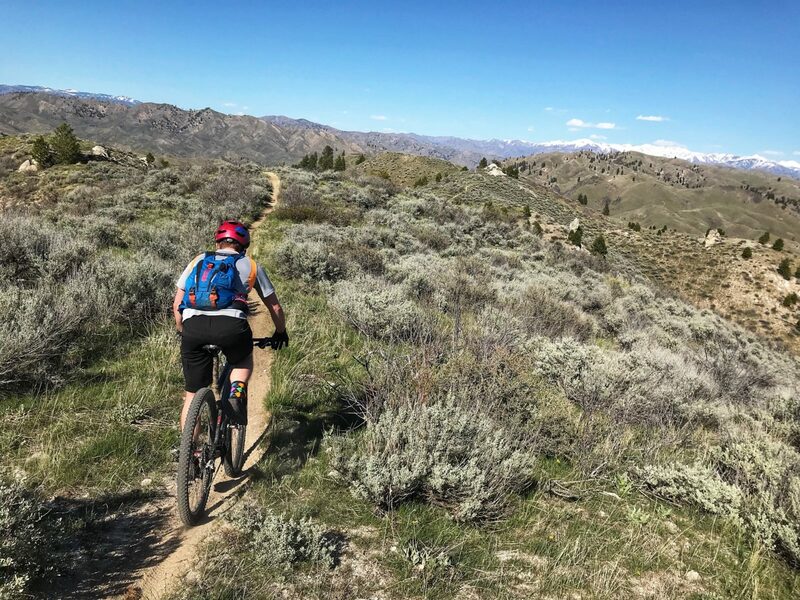 Despite the modest grade, our legs were starting to tire, in part because of the looser trail surface, which makes you work a lot more than the high speed hardpack found in the Boise foothills. Climbing out of the Jack Creek drainage. My trusty Trek Stache was a perfect match for the trails. Gaining the ridge at the top of Trail 520, amazing views greeted us again, but what caught my eye this time wasn’t the distant snowcapped ridges. Instead, I noticed a bunch of cool granite rock formations relatively close to the singletrack we’d be descending (#512). We hopped on Trail 512 (heading east) and made our way to the rock formations. Sure enough, one of them turned out to be a perfect roller with a long (but sandy) rideout, perfect for playing around on. Nothing like a good boulder frolick. Jack’s Ridge (Trail 512) turned out to be a blast, and not just because of the granite detour. A rustic and scenic singletrack which dips and rises with the ridgeline, finally it plunges back down to Trail 300 in a ripper of descent. You’re sliding around, hopping ruts, pumping whoops and, at times, hanging on for dear life. Our ride was about 17 miles with almost 4,000 feet of climbing. Here’s a cool flyover video of the GPS track overlaid on 3D satellite imagery. We barely scratched the surface of the Danskins, and I can’t wait to go back. The trails out there are not all user friendly, and it’s clear that some of them are just awful. But there are gems, too, and there’s just an exciting wildness and unpredictability to the trails. It feels like old school mountain biking, before IMBA made everything so tame. 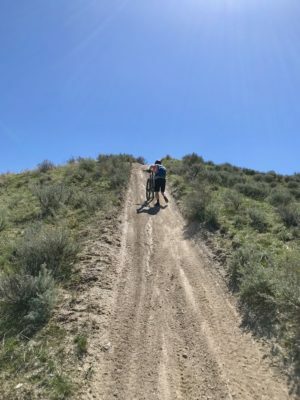 As we continue to explore the Danskins, we’ll add the trails to our maps on BoiseTrails.com, so you can (if you want) ride the good stuff without suffering through the bad stuff. One last protip:you don’t want to ride out there in the summer. There’s very little shade and it will only get looser. So go now or wait for fall. Nice article. I agree, the Danskins are a great spring time adventure spot. 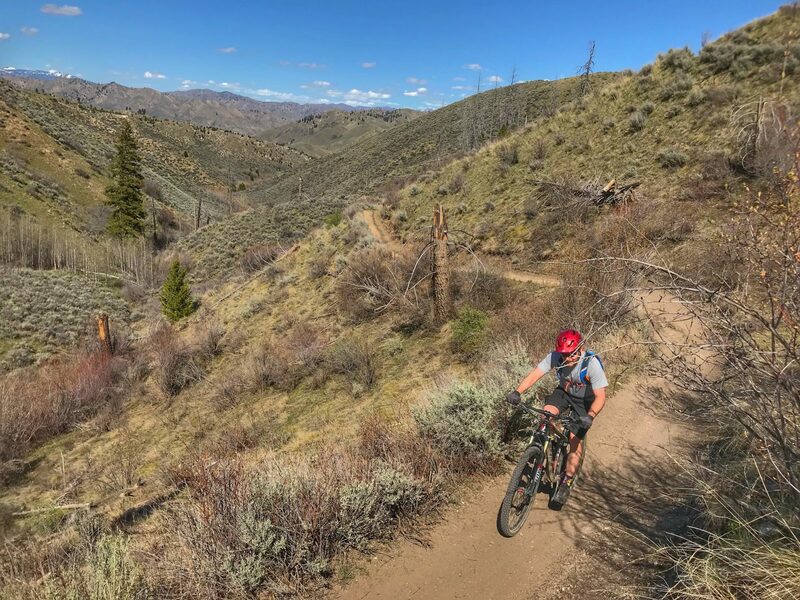 I would add that some of the trails make their way to the South Fork of the Boise river, and the views there are absolutely amazing.